A licence-built version of the Fairey Seafox but modernised with better streamlined struts, a new radial engine and stronger construction. A prototype first flew on 8 August 1937 and the type became the standard ship-borne reconnaissance seaplane during 1938. This advanced two-seat twin-float seaplane was designed for a 1939 requirement for a new torpedo strike seaplane to equip the Royal Netherlands Navy’s seaplane carriers. The first of two prototypes first flew on 29 May 1940 and the first batch of production aircraft was delivered during September 1941. The second prototype was converted for a licence-built Minerva Hercules radial during 1941 but performance was roughly the same and no production aircraft followed. 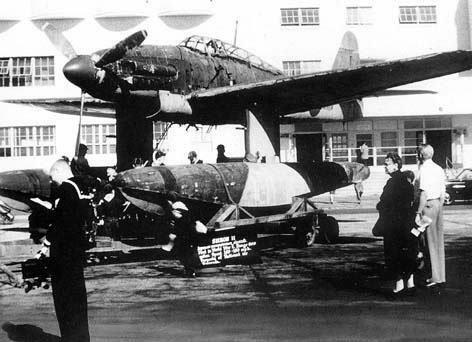 During 1942 a small batch of T.XIV-Wr reconnaissance aircraft with no bomb racks were produced. These had two oblique and one vertical camera installed in the fuselage. Two 200 litre drop tanks extend the range to 1830 km (1140 miles). Twenty-four were sold to Belgium during 1943.